Not a trained architect in the sense that we now consider, Charles-Edouard Jeanneret (known later as “Le Corbusier”) was highly critical of the field in which he practiced saying: “there is one profession and only one, namely architecture, in which progress is not considered necessary, where laziness is enthroned, and in which the reference is always to yesterday”. And yet his ideals were so foundational that we as designers still look backwards to the work of Le Corbu and his Paris atelier. Pilotis: You’ll see these up and down the East Coast in what today we know of as “stilts”. Le Corbu first developed the idea of using them in most construction while on a visit to coastal Turkey. The equally spaced columns support the weight bearing load which allows for the next point. . .
Free Plan: Imagine a space that would adapt as your lifestyle changes. Originally conceptualized for usage with social housing, while the pilotis acts as a weight equalizer, the interior walls become less necessary. 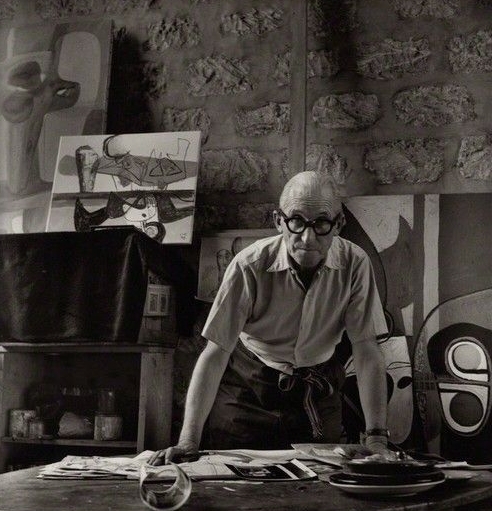 Oftentimes Le Corbusier included movable walls or partitions that could open up and cordon off areas as needed in conjunction with knee walls and ¾ height dividers in order to let light pass over the entire interior area of his buildings. Free Façade: Using reinforced concrete (also known as 'Beton Brut', a method pioneered by the American Army in WWI), the various floors act as a cantilever of sorts when used with the pilotis resulting in an exterior with unlimited possibilities. 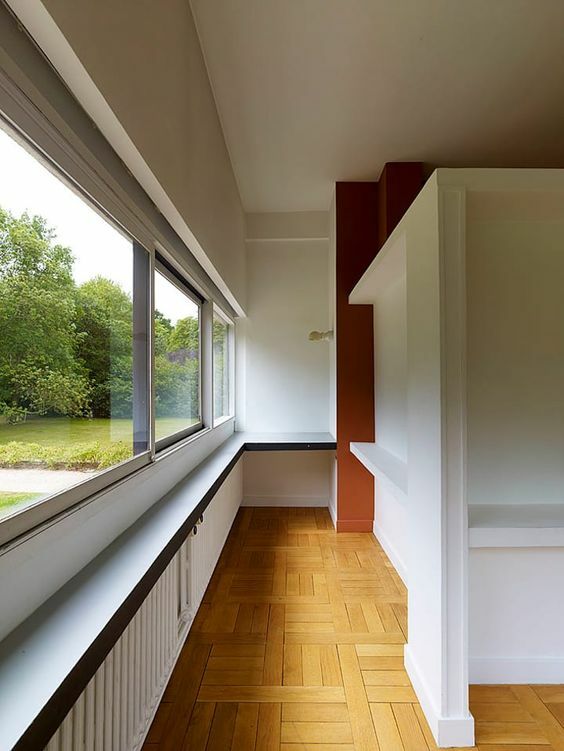 Ribbon Windows: Le Corbusier once said: “Space and light and order. Those are the things that men need just as much as they need bread or a place to sleep.” Horizontal windows running the full length of a building’s exterior means that on a clear day the interiors are absolutely flooded with light! Roof Gardens: Where would we be if this concept hadn’t caught on? Providing additional living/entertaining spaces, especially in Metropolitan areas where square footage is at a premium, Corbu believed in regular access to nature so the habitable rooftop was essential in both single & multi-family dwellings. Plus, it has the added functional role as insulation for the flat rooftop. For more information on a few area architects (both past & present) who have adopted Le Corbusier’s principles, visit the NCMH page for Arthur Cogswell and HOUZZ website of Raleigh’s Tonic Design Build. Color blocked interiors, built-in storage/shelving and non load-bearing walls that allow light to pass over.